Most of us have heard of the Grandparent Scam, it's a scheme that tricks seniors into wiring money over the phone to get a relative out of harm's way. While it's been around for years, some of the folks behind it aren’t just asking for credit card numbers to rip off your loved ones, they want gift cards too. “I've just been a little honest girl all my life,” she said. People in Springtown describe 80-year-old Mary Joyce Kirk as funny, kind and sweet as pie. She’s also very giving. So, when she got a call that her grandson was in trouble, she was determined to help rescue him. The person on the phone was vague about what he'd done, but quite clear about what they needed to release him. “I needed to go to Walmart and purchase a thousand-dollar gift card,” Kirk was told. She went to Walmart and bought a gift card for $1,000. “I got back home and they had me tear off this little card and read the number to them. Then they said well, he's got more fines against him so that we need another thousand. So I went back and got another thousand,” she said. She made four trips to Walmart, buying a total of $4,500 in gift cards and read the numbers off to the caller. “Then I said well if you need anymore, you're out of luck. He just has to stay in jail cause memaw is out of money,” she said. 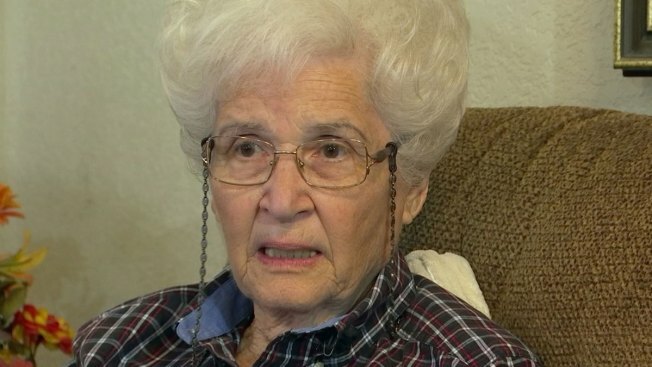 The person over the phone told her the fines were all paid off and that her grandson was being released. “So I went out there and sat on that front porch on one of those chairs about two hours waiting for him,” said Kirk. But her grandson never came. “Oh thunder, this is a big lie too. They're not coming with Joseph,” she realized. News about the scam traveled quickly and Kirk’s children were furious. They filed a police report with the Reno Police Department in Parker County and reached out to Walmart, who said there was nothing they could do, according to the family. But Kirk isn’t feeling sorry for herself. “Well honey, it isn’t gonna do no good to cry, and if that's the worst thing that ever happened to me, I'll make it,” she said. The FTC calls this the "Family Emergency Scam." If you get a call saying a loved one is in trouble, don't act immediately, no matter how dramatic the story is. Check the story out with someone else in your family. Don't wire money over the phone and don't pay anyone in gift cards.